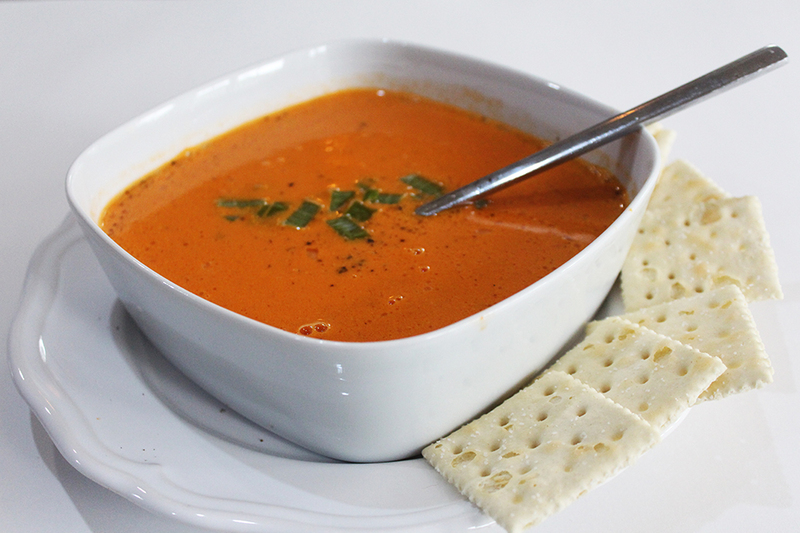 Tomato soup or cream of mushroom soup? It was an ongoing childhood lunchtime debate between my brothers and myself. Stupid debate if you ask me. It’s always tomato. 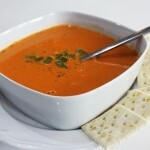 Don’t get me wrong, I know there is nothing quite like a steaming bowl of Campbell’s tomato soup to cure all bad days. However, this twisted version is pretty darn close in the medicinal department, and ever so much better in every other way! It is rich, creamy and full of flavor. The great thing about it is that it comes together so quickly that it is perfect for a busy weeknight meal. 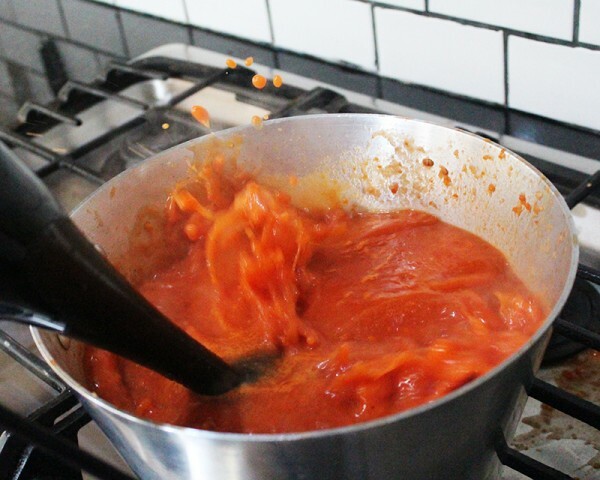 Or you could do what I do and make a double batch and freeze them in single servings for a fast, healthy and TASTY lunch! I have also found that it is the perfect soup to pull out of the freezer when you invite a friend over to lunch on a whim! 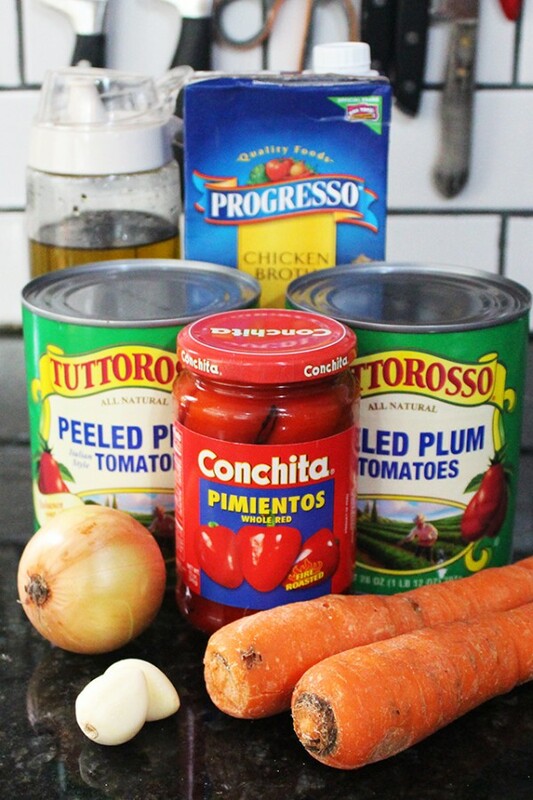 There are no crazy ingredients in this soup – in fact this is really a basic pantry and crisper “staple” soup to have in your mealtime rotation. Simple, quick and so satisfying! This weeknight classic comfort soup comes together in a snap. Pair it with cheese toast and you have the ultimate childhood comfort meal, all grown up! Prep all of your vegetables. 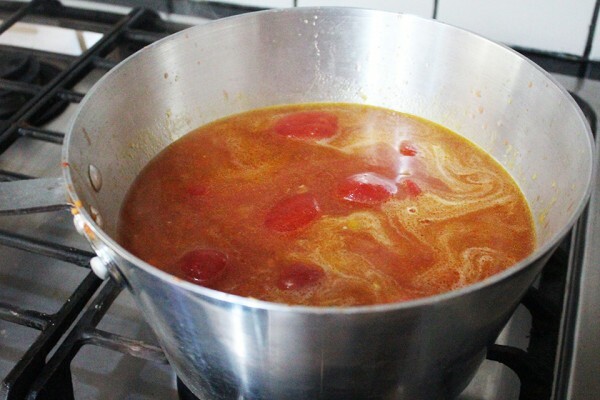 Heat oil in a heavy-bottomed soup pot. 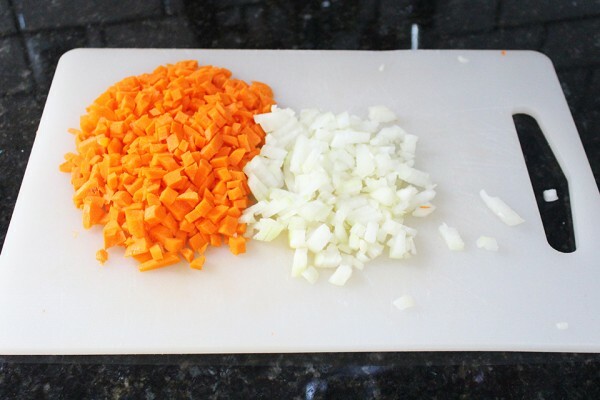 Saute the onion, carrots and celery until soft and translucent. Add the chicken bouillon and the chicken broth. 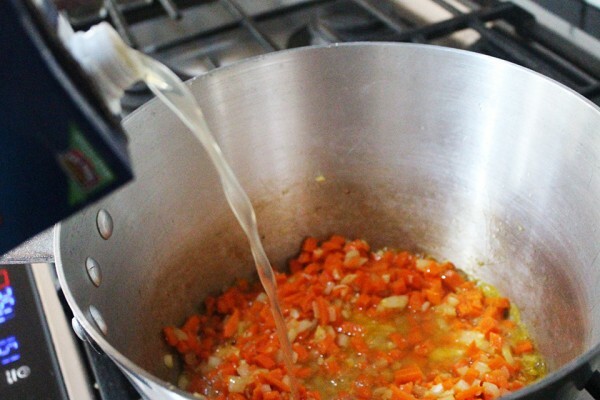 Simmer for 5 to 10 minutes, just to make sure the veggies are nice and soft. 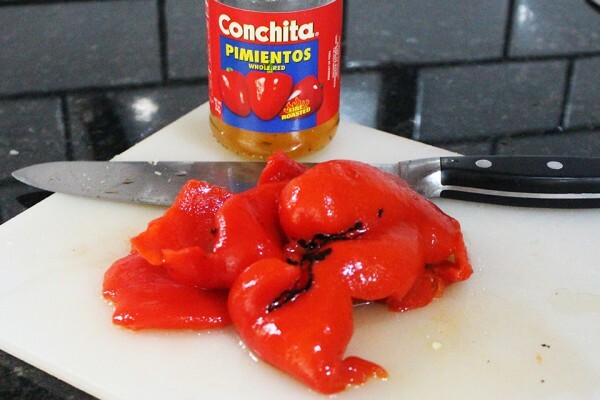 The roasted red peppers usually come whole in the jar. You will want to give them a rough chop. 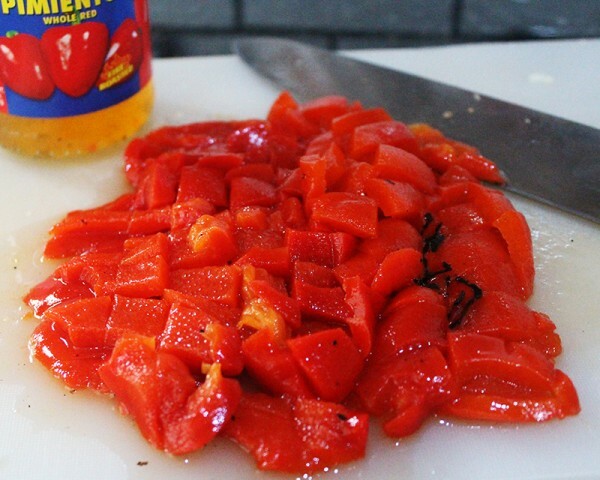 Add the juice and the chopped red peppers. 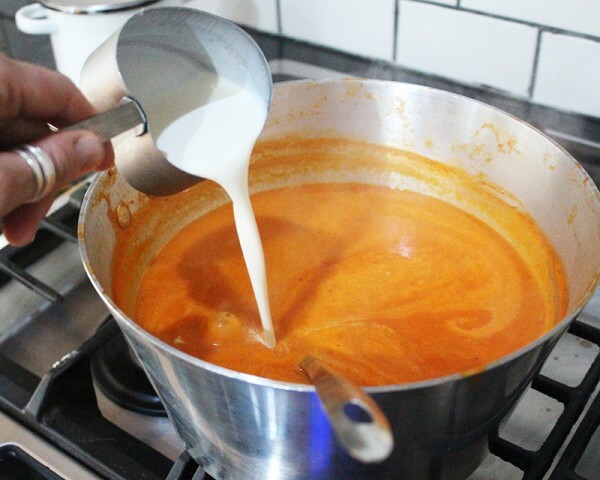 Use either an immersion blender or your regular blender and blend the soup up very smooth. Add butter. 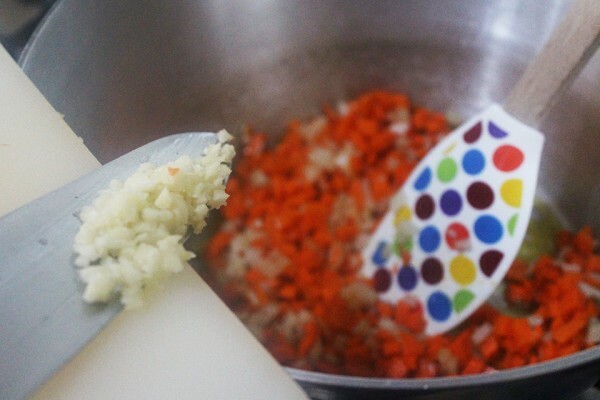 Taste for seasoning, add salt and pepper. Take off heat and add the heavy cream. This looks incredible, and I love the ingredient selection! Thanks for sharing! 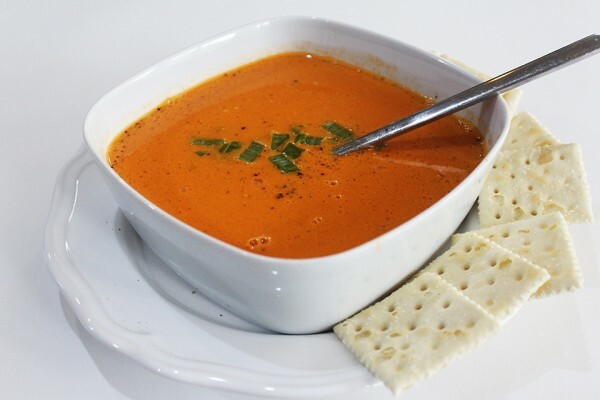 This soup looks so good. I love how easy and simple you’ve made it. 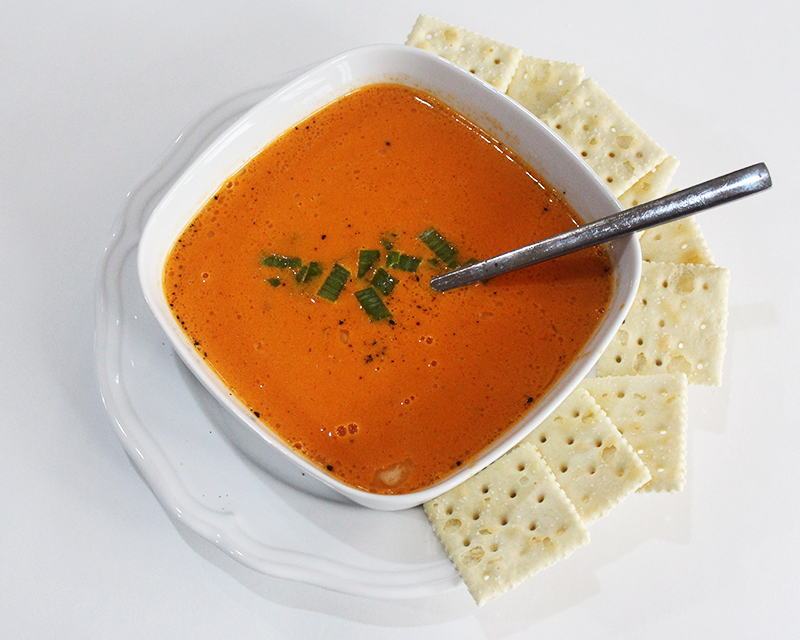 There is nothing better than a warm, homemade soup in the fall!